Welcome to my trip report on Garuda's subsidiary - Citlink! This trip came about when I postponed my Trigana and KalStar Aviation to the 15th March. That means I had to go at least a day earlier before those flights. I decided to go on the Friday morning and instead of flying out of Singapore to Jakarta, I decided to do something different. I always wanted to check out Batam Airport so this time, it was the best time to do so. I checked out Batamfast (The ferry company) and got myself a one-way ticket there, departing at 1000 and reaching there at 0940. The only worry I had is for the company to reschedule the timing to a later one as it stated on the website that 1000 timing was subjected to changes. So the only thing I could do was to keep my fingers cross. Once that was settled, I had a look at the airlines that were available to me. First one to come in mind was Sky Aviation but it wasn't suitable for me and I thought I might as well do it with my other aviation friends on a later date, this proved to be a wrong decision as at this time of writing, the airline had stopped operation for the 2nd time due to financial crisis! Next option was Citilink, I had a check on the flight schedule to Jakarta and there were 3 flights - 1 in the morning and the other in the early afternoon. So I thought, let's do it! The airfare wasn't exactly attractive and I was not happy with all those add ons. In the end, I just paid S$80 for the one-way ticket. I chose the 2nd flight of the day; a 1310 departure as the airfare was cheaper than the later flight, QZ9572 flight. Does anyone knows why certain flights are 4-digit? I remember taking some photos of the itinerary, but I guess I deleted it by mistake. The website itself has 2 languages, one in English and the other in Bahasa. You will have no problem accessing it and making your booking. I woke up at 6.30 in the morning and got myself ready by 7. My initial plan was to take the taxi to the Tanah Merah Ferry Terminal, but since I had time I decided to take a bus to Tanah Merah MRT station and take bus 35 to the ferry terminal instead. Before I left my house, I did a check on my ferry and was happy to know that it was operating. So taking bus 12 with a luggage and backpack, I reached the MRT station at 720 and waited for the bus. To my biggest disgust, a Scania K230UB (Scumnia) which I hate it very much, was operating on this service. As I have been avoiding this lousy crappy bus for almost 2 years now, there wasn't any possibility for me to break my long streak, I decided to take a cab there instead. It cost me around $8 but it was money well spent! Once I reached the ferry terminal, I waited for half an hour before check in was opened. Here are some photos of the terminal. There is free wifi here and unlike Changi Airport, just one click of the button and you are online. The schedule for the morning. The procedure of checking in is different from checking in at the airport as I learnt from my experience. Instead of heading to the luggage check-in counter, you have to go to the ferry company's office to collect your boarding pass. The QR code is used to scan by a machine later once boarding begins. The boarding gate area, just nice enough for the crowd of all 3 gates. Didn't use the lounge, maybe I should try the next time I return. My ship was Sea Raider 2 and we were directed to our ship. An old vessel but reliable! Once on board it, you can choose either to go indoor or outdoor. I decided to go indoor. The seats are all free seating so you have to be quick to choose your seats. Fortunately, I found a seat near the front of the vessel. There she is! I am not a fan of vessels, in fact this is my very first trip report on ferry rides, so I have absolutely no idea what model is this! I didn't take too much of the interior but this is how it looks like inside. We departed about 10 minutes past 10 and the ride lasted for about 45 minutes. We reached Bantam at around 955 (1 hour before Singapore's time) and passing through immigration was fast! Thank you for the wonderful ride, Sea Raider 2! Now its time to take a cab to the Batam's Airport. As there were no local cabs, I had to take a private cab which cost me 100,000 rupiah. A rip-off if you ask me, but I had no other choices. Next time, I will use Batam Centre instead. I took the cab and it took around 15 minutes to reach there. I paid the driver and then I had a little tour around the Airport. Only thing that bothered me was the locals kept pestering me to take their taxis. I felt like in the 1980s inside Hang Nadim Batam Airport, as you can see everything inside looked so dated! I waited until 1110 before I was allowed to check-in. There were many passengers crowding around at the Citilink check-in counter and I had no idea whether they were queueing up, so I made my way to the counter and got my boarding pass. 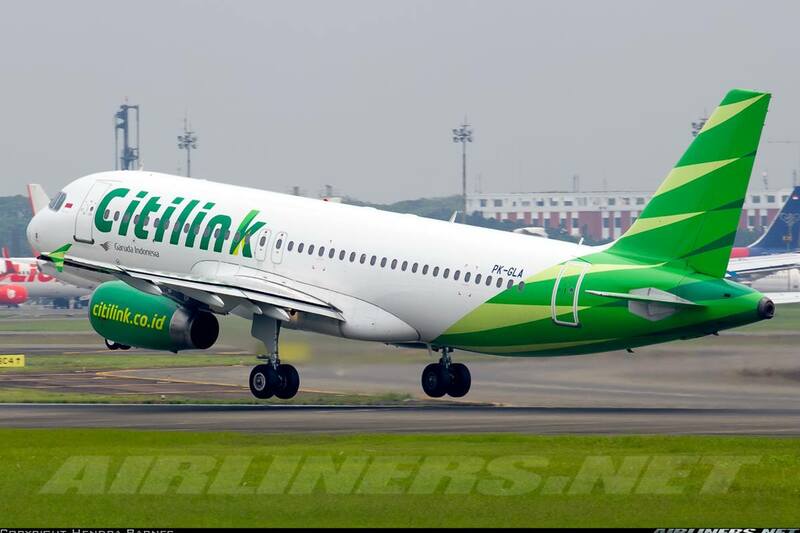 Do take note, flying with Garuda and Citilink do not require you to pay the airport tax as it is already included in your ticket. That's a good thing! Do take note there is no free wifi over at this airport. After passing through security check, it was time to explore the airside! There is even water cooler over here. Plane photography is possible over here, the usual Indonesia domestic carriers can be spotted here. 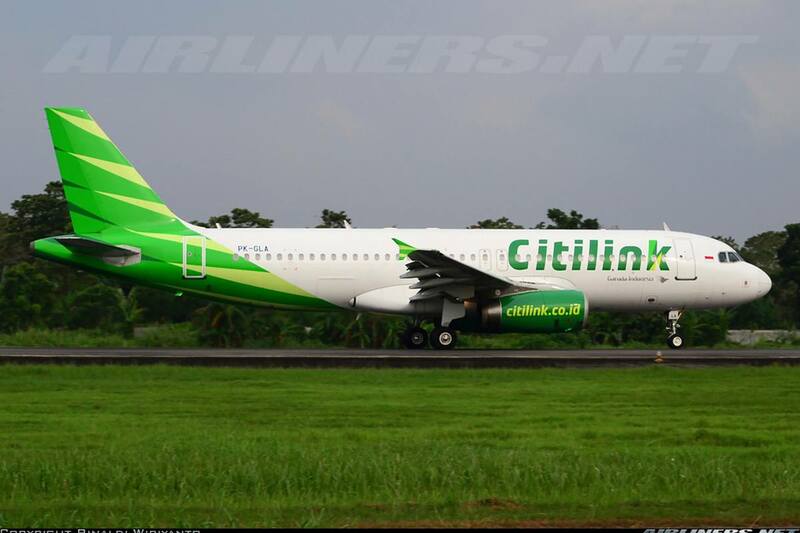 Citilink A320, Garuda CRJ1000 and Boeing 737-800 were having a short rest. Do check out my CRJ 1000 trip report over here! There are quite a number of small restaurants and shops over here, the prices are reasonable. Most of them don't speak English, so communication between myself and the staff was a bit difficult. Finally spotted this beauty! This is Lion Airline's 90th aircraft, one of the many Boeing 737-900ER in the fleet. The waiting room has enough space to cope the load of an A320 or Boeing 737-900ER. The Boeing 747 and even the A380 are able to land at this airport. My boarding gate! It looked like a full flight. My flight was on schedule. I was disappointed to see that I was flying the first A320 (PK-GLA) in its fleet, wanted to fly a brand new one with the sharklets! Better luck next time! More photos of my ride! A very beautiful livery if you ask me! Boarding was in a mess once again. The announcement was in Bahasa, most passengers got up and went to the door. Only one staff was there to do the boarding procedure making it very slow. I was in the queue early and waited only 5 minutes for my turn. Once on board, was greeted by the crew in Bahasa and I got into my seat quickly. What caught my attention immediately was this! It turns out to be a drink holder! The interior of this cabin was from the original operator: ACES - an Argentinian operator. Here are some more of the cabin shots! I apologise for some of the blurry photos, as I was in a little hurry to leave the aircraft. Tight legroom space just like the other Asian low cost carriers. Had 2 windows for my seat. The green covered seats are for passengers who paid more for them.The emergency rows have the most leg room space in the aircraft. The front rows have legroom space but not as much as the emergency row. So if you are tall like me (I am 6 foot 4), get the emergency row. The extra $ is worth it especially for flights more than 2 hours. The green covered seats cost about a bit more than the normal seats. Of course if you don't wish to pay for the seats, you will have to depend on the airline to assigned the seats for you. If you are lucky, you get either the window or aisle, if not you get the worst seat (middle seat between the aisle and window) I learnt my Peach lesson. Tip: This works if the flight is less than 90% full. If you want an empty seat beside you, choose the last row. For most of my LCC flights, the last row is usually empty, but the only bad thing is most of them cannot be reclined on that row. The flight departed on time and our flight time to CGK was a bit longer than I expected but everything went fine. A little bumpy in the initial climb but after that, it was smooth all the way. Seat belt sign was turned off about after 15 minutes of flying. However, I didn't feel like getting up from my seat as there were 2 gentlemen sitting beside me sleeping. So only took most of the cabin shots after the flight. No toilet photos for this flight, I reckon its the same as the others. The cabin crew were pretty and generally nice, nothing spectacular. They did the take-off and landing checks and came around to sell in-flight meal or merchandise. Nothing much for them to do. I wanted to get the 737-300 or -400 flight but I received no reply from both email or the company's tweeter account, I gave up and just went for this flight. According to my list, this was to be my 8th operator of this aircraft type. I had previously flown with United, Tiger Airways, Peach, Starflyer, Jetstar, Air Asia and SpanAir. Most of my A320 rides are with Air Asia. Alwas nice to catch sight of another aircraft flying while in the air. My first sight of Garuda's A330-300 in 'Skyteam' livery. I didn't take the video as I was a bit tired so hope you don't mind just the photos. I was quite fortunately that everything went well that day. From the ferry ride to Nongsa and then the cab to the airport before flying to Jakarta. As long as you give yourself some interval in between, you should be fine. Is the airfare worth the hassle? Nope, its slightly more expensive than flying out from SIN-CGK directly. I did some calculation. Let's compare. SIN-CGK (Air Asia, TigerAir or Jetstar) You pay around S$80-$100 including luggage - we take it as normal price. I paid about $105 altogether for it. It was certainly an experience and for normal travellers, doing the direct route would be better. But for others who like some new experience, I would certainly recommend this route. Only thing else is one should take the ferry to Batam Centre from Harbourfront instead. My experience with Batamfast was a positive one. No problems at all and even through the ride was old, it got me there fast. What matters when you take any transport is the maintenance of the vehicles must be there. I recommend this ferry company. Airport is definitely very retro, a good experience for everyone. Small it may be but getting from one part of the airport to another is easy. Very similar to Air Asia's service, nothing spectacular but its efficient and that matters. Reliable airline as its under Garada, not a surprise at all. So do I recommend this airline to anyone? Yes, definitely.